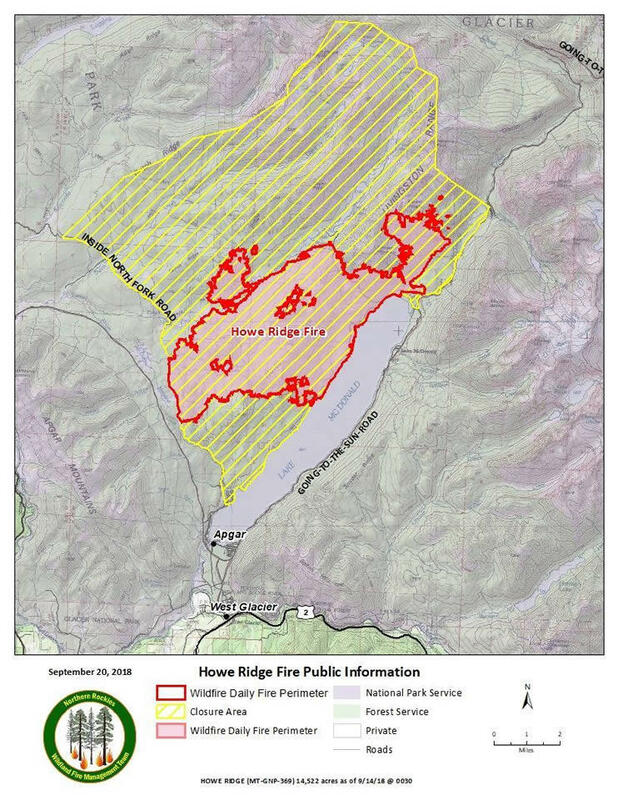 Map of the Howe Ridge Fire perimeter, September 20, 2018. 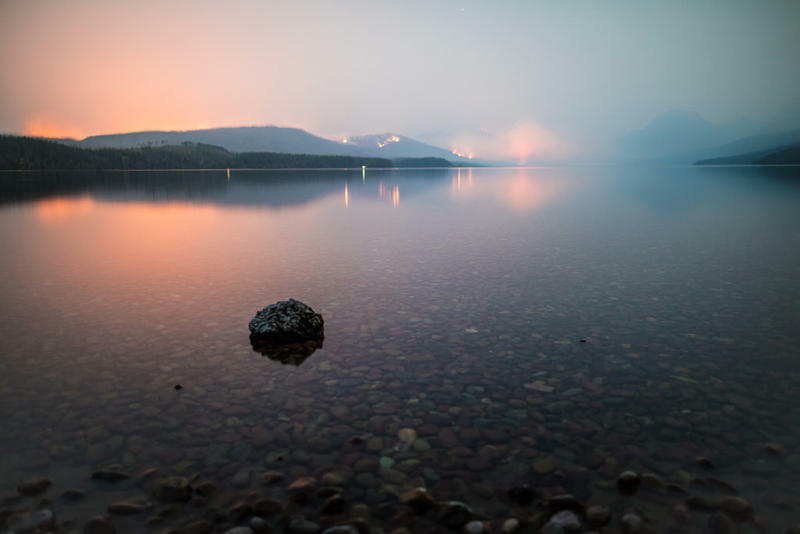 The Howe Ridge Fire, burning nearly 15,000 acres in Glacier National Park is now more than 40 percent contained. Efforts at suppressing the flames have cost more than $12 million, but crews have made substantial progress over the last few days. Some closures remain in effect, but the full length of Going-to-the-Sun Road is open to private vehicles. The Boundary Fire inside the park is now being called 54 percent. contained. The Paola Ridge Fire continues to burn more than 1,000 acres in the Flathead National Forest, and is about 60 percent contained. 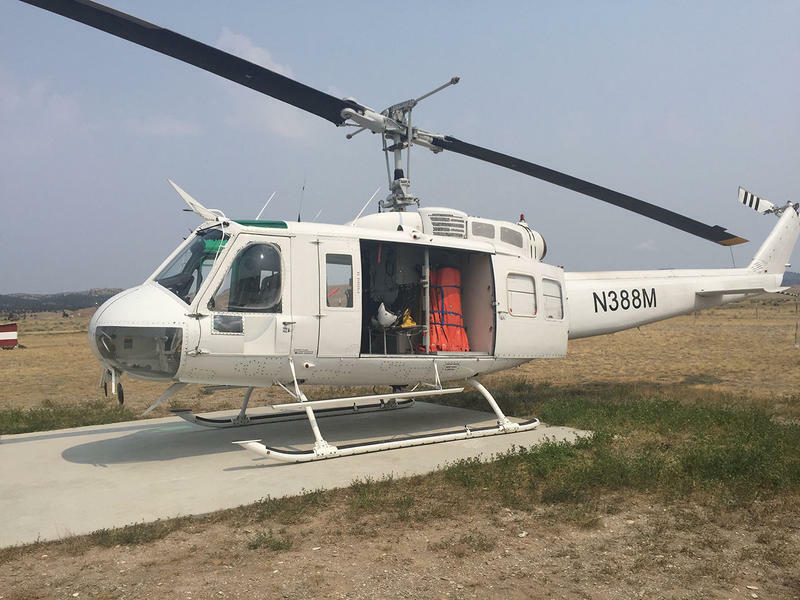 The Davis and Gold Hill fires, together burning about 13,000 acres in the Kootenai National Forest, have seen little new growth in the past few days, and are respectively 40 and 55 percent contained. 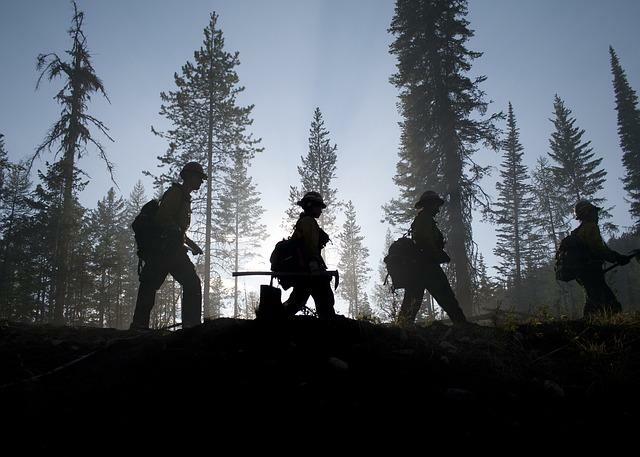 The remote Juliet and Brownstone fires are burning more than 5,000 acres in total in the Bob Marshall Wilderness, prompting some closures on the Continental Divide Trail and in the Spotted Bear Ranger District of the Flathead National Forest. Other fires continue to wind down, including the Bacon Rind Fire, burning about 5,000 acres in the Custer-Gallatin National Forest and Yellowstone National Park. Smoke from that blaze is visible from Highway 191, and the speed limit is reduced to 45 in the area. Fire danger in most national forests, including Bitterroot, Kootenai and Lolo, remains “High.” But in the Beaverhead/Deerlodge and Helena-Lewis and Clark National Forest that danger has been reduced to “moderate,” and debris-burning will open in all areas of Lewis and Clark County except Augusta midnight tonight. Fires this year have burnt about 143 square miles in the state, less than 10 percent of last year’s burn.